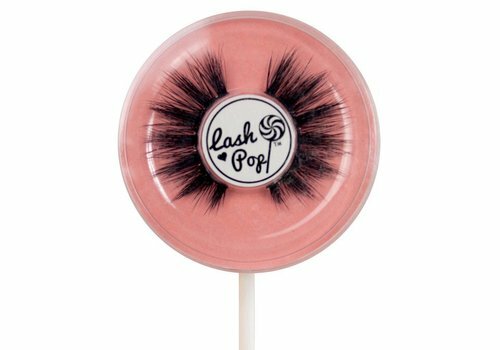 Lash Pop lashes should really be in your stash! The packaging is supercute. In the form of a lollipop and available in many cheerful colors. 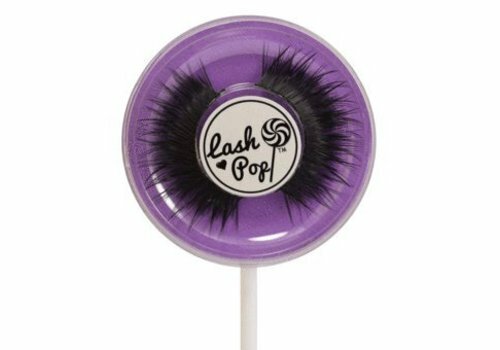 The lashes of Lash Pop have a natural look, they are also vegan and cruelty free. Different styles of lashes are available. You can go for a natural and soft look or a totally glam look! 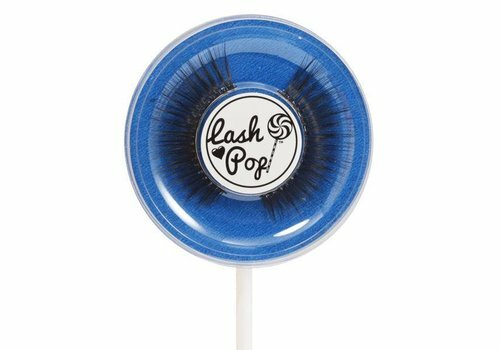 Then go for the bold and dramatic lashes of Lash Pop. 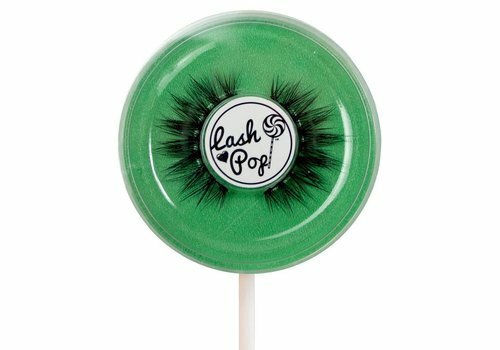 The advantage of Lash Pop lashes is that you can use them up to 10x. Make sure you handle them with care, they will last a long time. Carefully pull these fake lashes off your lash line. Start from the outside and then gently pull the inside out. 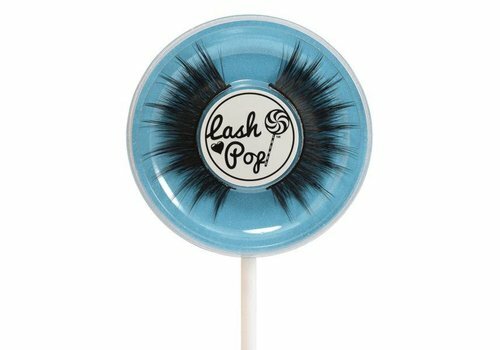 Do not forget to remove the adhesive residue and store the Lash Pop lashes in the original packaging. Choose the right fake lashes. Go for long and dark if you want a dramatic effect and choose fine, natural lashes if you also want to maintain a natural effect. Cut the eyelashes to size. False eyelashes are often made a little too long to ensure that they fit everyone's eye. So first measure how much off. Cut the piece on the side of your outer corner of the eye. Apply the eyelash glue. This is just a precision work. The easiest thing is to apply a little bit of eyelash glue to your hand. With a brush or with an eyelash applicator you then very carefully apply a thin layer of glue to the entire lash line. Try to ensure that there is no glue on the lashes themselves. Apply the eyelashes. Use tweezers or an applicator to gently pick up and apply the eyelashes. Press the eyelashes against your own lashes if possible. Press gently from the outside towards your inner corner of the eye. Then wait at least 30 seconds for the adhesive to dry properly. 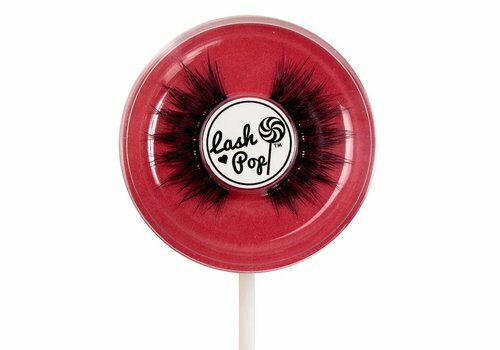 Order your fake lashes from Lash Pop easily at Boozyshop! If you order before 20:00 on workdays, you have already received your order the next day. The nice thing about make-up ordering at Boozyshop is that you can choose a gift yourself if you order more than 30 euros! Woohoo! Shopping made easy!